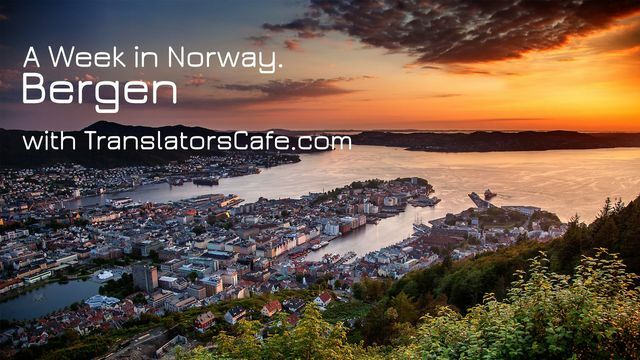 The Vidden Hike (Ulriken to Fløyen) map link https://www.google.com/maps/d/viewer?mid=1He30rub3rMOtv6HKkSb75cI_rZE Find interpreters in Bergen, Norway: http://www.translatorscafe.com/tcutils/en-US/search/?op=search&lop=Any&city=bergen&rg=&rgab=&cg=0&cn=128&lat=52.3702157&lng=52.3702157&rad=250&vlop=Any&vog=A&vok=&tcm=0&ru=720 A Week in Norway. Bergen https://www.youtube.com/watch?v=YjNUE4U6Dgs Author: Anatoly Zolotkov Equipment used: Canon 5D MkII with Flycam HD 3000 camera stabilizer, Canon EF 16-35mm and Zenitar-M2.8/16 Fisheye lenses, Panasonic HC-X920. Background Music Credits: ► Marcus Neely — Inspirational, Promo Presentation Music (Royalty Free) Marcus Neely YouTube Channel https://www.youtube.com/user/mardeedar25/videos Music by Marcus https://soundcloud.com/musicbymarcus https://www.youtube.com/watch?v=pZD66AVzQRY ► Avalon — Midnight Stroll http://click.dj/freebackgroundmusic/avalon-midnight-stroll SoundCloud - https://soundcloud.com/daniel-steedman-1 Facebook - https://www.facebook.com/OfficalAvalon888/ The audience - http://www.theaudience.co.nz/avalon-nz/ ► Misael Gauna — Paradise Facebook - https://www.facebook.com/MisaelGaunaMusic YouTube - http://www.youtube.com/MisaelGaunaMusic Twitter - https://twitter.com/MisaelGauna Amazon - http://goo.gl/nNIVZc iTunes - https://itunes.apple.com/gw/artist/misael-gauna/id601757941 TrackItDown - https://www.trackitdown.net/artist/437964/misael-gauna.html Beatport - www.beatport.com/artist/misael-gauna/314998 ► Free Background Music Website - http://www.freebackgroundmusic.co.uk YouTube - https://www.youtube.com/c/freebackgroundmusics Facebook - http://goo.gl/2otgOU Twitter - https://twitter.com/FreeBMusic Google+ - http://goo.gl/TybZuK Keywords: the city of seven mountains, Ulriken, Fløyen, Løvstakken, Damsgårdsfjellet, Crimea, Russia, mountainous landscape, Severomorsk, 15-kilometer hike, Mount Ulriken , Mount Fløyen, Ulriken Cable Car, Ulriken double-decker bus, Tourist Information Center, Vidden Trail, mountain lakes, fjords, mountains, Ulriken TV tower, stone cairns, sheep, Turnerhytten, canyon, ascent, descent, drinking water reservoir lakes, Fløibanen funicular, communication tower, adrenaline-seekers, paragliding, rocky path, viewing platform, panoramic view of Bergen, Fish Market, Bryggen wharf, kindergarten at the top of Mt. Fløyen. Mt. Ulriken to Mt. Floyen trail.